(Seychelles News Agency) - Seychelles has the highest percentage of Facebook users of any country in Africa, a report released at the 2016 African Digital Summit found. The report presented by Medianet Tunisia puts Seychelles first in Africa with around 56 percent of its population using the popular social media site. Tunisia is second with 55 percent followed by Mauritius with 49 percent. The manager of communications and public relations of Cable and Wireless Seychelles, Arthur Lo Pinto, told SNA that the surge on social media is partly due to the company having revolutionised the use of the internet in the island nation. Lo Pinto says the company is constantly trying to promote internet use in every citizen’s home. At present internet can be accessed anytime and anywhere through various means, including internet mobile devices. “There has also been a significant increase of social media users in Seychelles, and our numbers have shown that over 90 percent of our customers consume their mobile data on Facebook,” said Lo Pinto. Seychelles, an archipelago in the western Indian Ocean with a population of 93,000, has two major telecommunications service providers, Cable and Wireless Seychelles and Airtel Seychelles. SNA spoke to local Facebook users about the report. Darrel Uranie said that the surge on social media is due to participatory politics and democratisation of social norms. 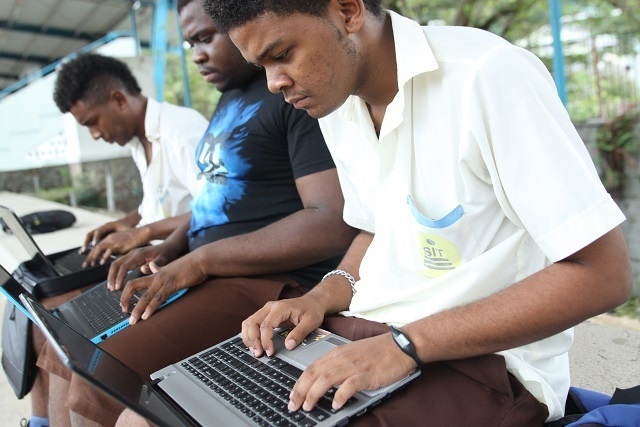 According to the International Telecommunication Union’s (ITU) 2015 figures for Seychelles, 67 percent of households have computers, 59 percent of households have internet access at home and 58 percent of individual use the internet.